Just a semi-slab serif font I felt inspired to create after flicking through a magazine. 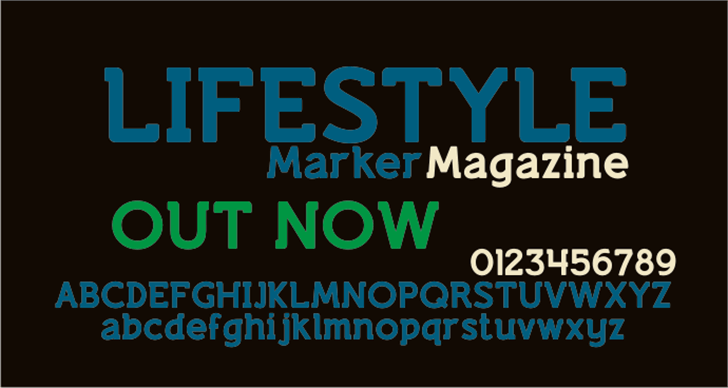 This is the marker style fully rounded version of 'Lifestyle M54'. If you find this font useful then please consider a donation to justme54satyahoo.co.uk, any amount will be greatly appreciated. A donation isn't necessary to use this font for personal or non-commercial use. I'll be interested to know how people use it so a picture or artwork sent to justme54satyahoo.co.uk would be nice.